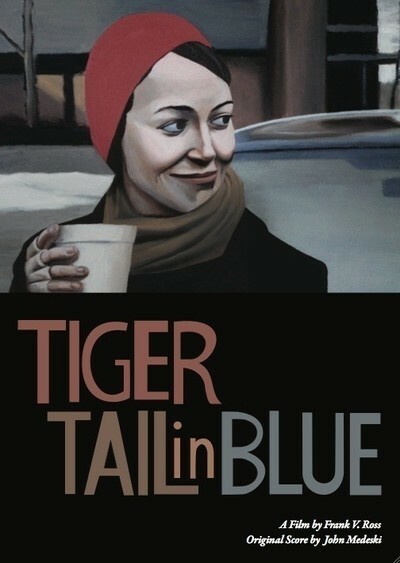 Many, if not all, of the reviews for "Tiger Tail in Blue" will no doubt cite it as a an example of "mumblecore," the cinematic sub-genre that was briefly the rage among certain cinephiles a few years ago. It embraced minuscule production values and largely improvised storylines as part of a DIY aesthetic that was meant to return the increasingly bland and complacent world of American independent film back to its scruffy roots. Although the format did at times inspire some impressive work — the best perhaps being "Tiny Furniture," the brilliant 2010 film from then-unknown Lena Dunham, made prior to her equally great HBO series "Girls" — most of the films that emerged were largely intolerable exercises in self-indulgence marked by annoying characters, narratives that failed to go anywhere or say anything and the increasingly intolerable presence of Greta Gerwig, who inexplicably became a mainstay of the genre until alighting for the greener pastures of the "Arthur" (2011) remake. As a result, the invocation of the word "mumblecore" may wind up repelling more viewers than it attracts. That would be a shame because this Chicago-produced feature from writer-director Frank V. Ross is infinitely more interesting and watchable than most of its lo-fi brethren and fully deserving of the praise that it has already received in indie film circles. The film co-stars Ross and Rebecca Spence as Christopher and Melody, a recently married couple struggling to keep their heads above water in uncertain economic times. Christopher fancies himself a writer and spends his days banging away at his first novel (though the excerpts we hear are not especially inspiring and, indeed, he seems to put more enthusiasm into preparing his lunch than into the creative process) while working nights at a local restaurant. The more responsible Melody spends her days working as a teacher and her nights grading papers, struggling to stay awake long enough to spend a little time with Christopher when he finally comes home. The two love each other but their relationship is clearly strained by their circumstances. Melody in particular is growing increasingly frustrated by being forced to shoulder an unequal share of their monetary burden because of her more stable job (which she also fears may not be that stable after all) and by Christopher's apparent unwillingness to commit himself to either his writing or steadier employment. Christopher seems more interested in a low-key flirtation with co-worker Brandy (also played, for the most part — you'll see — by Spence) that finds him lingering later and later after work, further exacerbating the situation at home with Melody. Director Ross does an impressive job quietly and effectively capturing all the circumstances surrounding Christopher and Melody, ranging from their constant teetering on an economic tightrope to the grim, bone-chilling cold that one experiences while waiting for the Metra train to arrive on a frigid winter morning. The only real problem with "Tiger Tail in Blue" is that, despite its virtues, it may not be the kind of film that draws audiences in droves on a chilly January night. After all, it doesn't have any recognizable faces, it doesn't traffic in familiar clichés or easy resolutions and it deals with the kind of difficult personal and professional issues that most people go to the movies to get away from for a couple of hours. For viewers who demand such things from their cinematic entertainments, there are plenty of films out there offering simplistic stories, crude humor, mindless action and the sight of Russell Crowe delivering a painfully off-key and atonal performance (and that is just in "Broken City"). However, some moviegoers still cherish the chance to experience the work of new and intriguing voices who don't follow the established rules of commercial cinema. For those hardy people, "Tiger Tail in Blue" is worth seeking out. Frank V. Ross will be appearing at the Gene Siskel Film Center for audience discussions following both screenings.